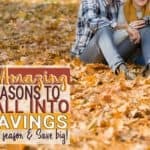 Hey, Home Adventurers let's talk about 6 Thanksgiving Day Mistakes that will cost you money, shall we? Already, we are talking about Thanksgiving Day 2018?! Thanksgiving Day is my favorite time of the year. I love Thanksgiving Day for many reasons, and one of them is because, to me, it means family. I love Thanksgiving because of the memories, the family, and the start of the holiday season. And if you are like me chances are you will be spending a lot of money on Thanksgiving Day. Thanksgiving can cost you a pretty penny when you add the cost of food, decorations, clothes, etc. 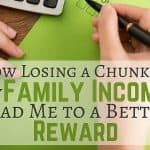 For this reason, I am here to talk about some Thanksgiving Day mistakes that will cost you money to help you keep your money in your wallet. Thanksgiving Day means the unofficial start of the holiday season. You know, and I know the biggest shopping season is a here, among other things. 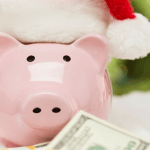 Since I decided that I wanted to make sure every one of my readers enjoys their holidays without stressing about their finances, I wanted to share some of my best tips to help you save money and enjoy Thanksgiving Day! 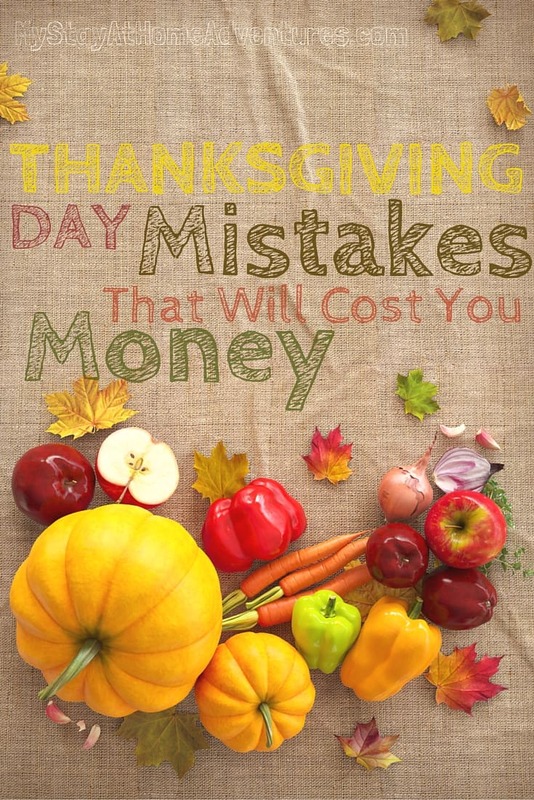 To help you keep your finances in check during Thanksgiving Day, I wanted to share some of the most popular mistakes we seem to do that cost us tons of money. 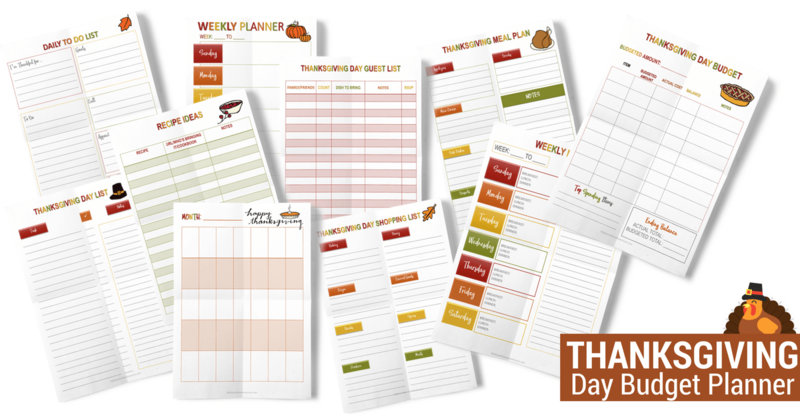 Grab this 2018 Thanksgiving Day planner for FREE! 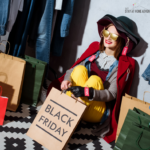 These mistakes can affect us negatively that many people simply dread this day and don’t get to enjoy their Thanksgiving Day because they are so worried about their finances. It's the honest truth; our finances affect us personally. You and I know this so why not do something about? We seem to be a busy society, and sometimes we love to do things at the last minute. Not having a plan leads to us overspending by overpaying for things. We don’t take the time to sit and plan how we will be spending our Thanksgiving Day. Take a minute and sit down with your family and ask about Thanksgiving. What are we doing this Thanksgiving? What is the plan? 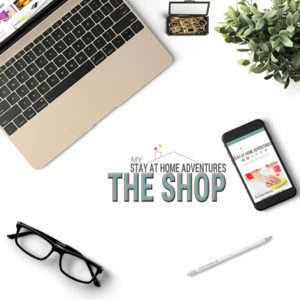 Are you traveling or staying home? Remember that millions of Americans will be traveling as well. Many will be flying, taking on the roads, and using the rails. You need to make sure that you start planning right away because without a plan and waiting last minute, you will be paying a lot of money. Get your car road ready – Take the time to make sure you are taking care of your vehicle by checking the oil and giving it a tune-up. Always make sure your tires are safe and ready to hit the road. Drive at night – One thing we learned is that traveling at night is better for us. The kids are tired and sleepy, and the roads are clear. Remember to rest and stop when you are tired. Avoid traveling Thanksgiving day – Funny how many years ago, I would have traveled during this day, but now I don’t recommend it at all. Remember that the biggest shopping day of the year starts Thanksgiving Day and everyone is out shopping. If you are not planning on traveling then what other things are you going to do? Are you hosting Thanksgiving dinner at your home or are you going to a family member's house for Thanksgiving? Start making your plans early on how you are going to be spending your Thanksgiving and write them down. Communication is essential when it comes to holiday gatherings. If you are planning on not traveling a long distance and having Thanksgiving dinner at your home or family’s home, early planning will eliminate confusion and overspending. If you are hosting, plan with your guests and see what they would like to bring; this will save you money on your food cost. Decide between all of you what to bring and not to bring for dinner by doing this it will help everyone save money. Use a menu plan. 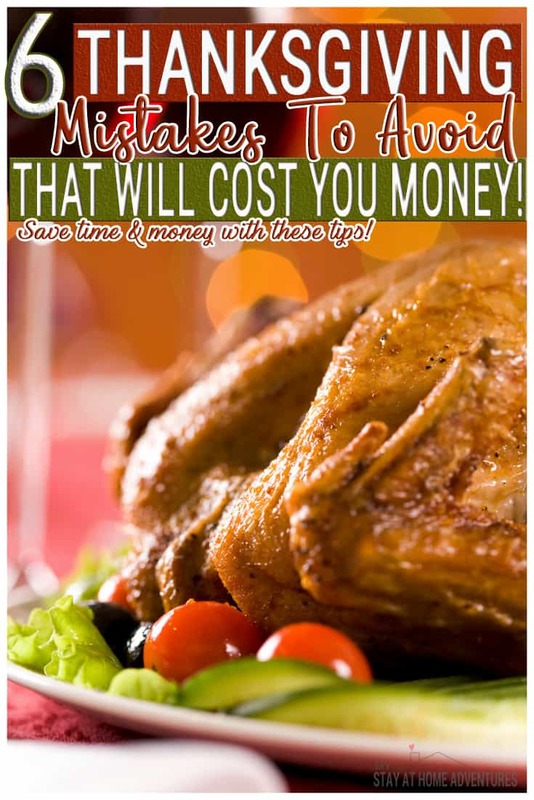 – If you are going to make Thanksgiving dinner, you need a menu plan to help you save money. Shop the sales as early as possible. – You can start grabbing awesome deals on food as early as October. Buy in bulk. – If you are hosting, hit Sam’s Club and save up by buying in bulk. Use coupons. – Again, take advantage of coupons that will help you save money; you can save even more when you use them with a sale. Take advantage of rebate apps. – Rebates apps like SavingStar, Ibotta, and such will give you cash back on selected items. 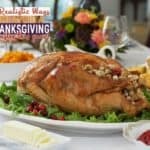 To help you save money this Thanksgiving Day, instead of hosting dinner this year again at your home, why not let someone else host this family event. Having someone else host Thanksgiving Day dinner will help you save money, but most importantly, it’s a different place and different scenery for everyone else. A different location to enjoy Thanksgiving dinner will help you have a less stressful day and just be a guest for once too! You don't have to clean your home and organize to host Thanksgiving Day dinner. You don't have to get up early to start dinner. You don't have to spend money on groceries to feed an army. Seriously, just enjoy being a guest and bring a dish! This is a mistake that I think many of us are guilty of, trying to do everything yourself. Instead of enjoying the day and enjoying the company, we are so busy trying to figure out how to get everything done for that special dinner. We want to impress, and we want to make sure everything is perfect, this leads to overspending because we are not focusing on what is important. Why are we trying to impress our guests? Why are we not being grateful for the help offered? Why are you not enjoy this fantastic day? You don’t have to do it all. Accept the help, and the offers of help from your guests and simply make sure that everyone has a wonderful time and start making memories. Best time is when we are cleaning up in the kitchen and just chatting up a storm. We love it! You need a Thanksgiving budget if you want to save money! How else are you going to know where your money is going or how much to spend? 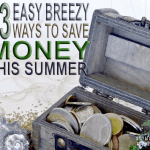 Keep the budget simple and spend what you can afford! Cut down on your Thanksgiving Day decorations and simply save the money. Adding to everything buying decorations, such as Thanksgiving Day plates and cups, is a waste of money. Let nature be your decorations, buy pumpkins; and for Thanksgiving Day, let the turkey be the centerpiece. No need to spend money on decorations that are only for that day when your budget is limited. Thanksgiving Day is a fantastic time of the year, and you shouldn’t be worrying about breaking the bank on this day. Avoiding these 6 mistakes will help keep you on track with your finances and what is essential. What other mistakes do you avoid making that helps you save money on Thanksgiving Day? What other helpful tips do you have? I’m getting ready to host my first ever Thanksgiving and I am already planning. Thanks for the tips!